The perfect bathroom reader in every way. This book features 21 short stories about Ken’s diving adventures and is good for twenty one trips to the head. Upon completion it can be used as a bathroom reader for your guests, as toilet paper, or if you didn’t particularly care for it… it is already in the perfect room to be flushed down the toilet. Just have a plunger handy. To our knowledge it is not bio-degradable. but don’t be fooled, the Sand Tiger shark is considered one of the ten most dangerous sharks in the world. 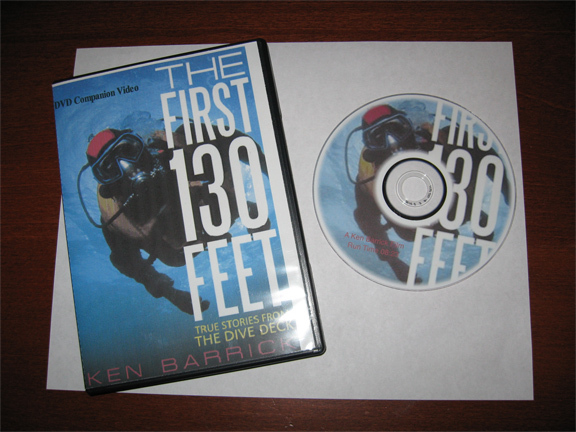 This brief video shows you that several of the stories in Ken’s book The First 130 Feet: True Stories from the Dive Deck are actually true! Sharks and Shipwrecks. What more can a diver want? This special narrated edition was the first film Ken produced. 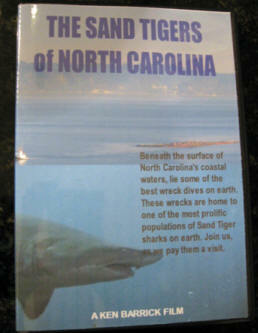 It is informative and gives a great representation of what North Carolina diving is all about. 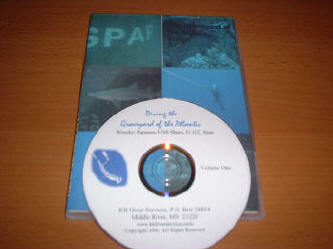 The first run of this DVD sold out. It is now specially re-released by special order only and is signed by Ken. 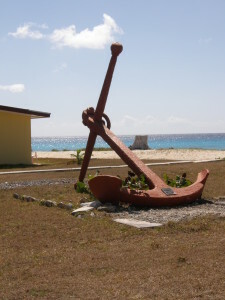 One of Ken’s favorite places to dive is the tiny island of San Salvador in the Bahamas chain. 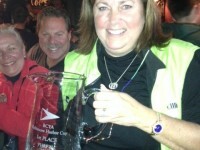 Clear water, sharks and plunging walls full of color make this a must see for any true diving fan.